This entry was posted on Tuesday, September 13th, 2011 at 15:24 and is filed under Election 2012, GOP Candidates, Media, Politics. It’s not often that Rush Limbaugh fails to recognize the salient point in a political story, but in the first hour of Tuesday’s broadcast, he missed it completely. I hate to take Rush to task, because his errors are vastly outnumbered by the times he’s ahead of the media curve, but in his defense of Rick Perry on the Gardasil flap, I believe Rush got it wrong. It may well come down to a lack of perspective. As a Texan parent of a minor daughter when the Gardasil issue surfaced, I can tell you that from my perspective, the issue can be understood in a different light. This wasn’t his only error about Rick Perry, but my focus is on this one for a critical reason: While Perry has admitted his order on the HPV vaccine may have been a mistake in the way it was implemented, he hasn’t retracted the underlying problem: A real conservative untainted by crony capitalism would never have implemented this at all. Rush tells us this is a distraction from the fiscal issues. I submit to you that Perry’s Gardasil mandate is a fiscal issue, and a matter of his core conservatism. Rather than a distraction, it cuts to the heart of what remains broken in our politics, and why we must hold candidates’ feet to the fire. First, let’s consider this from the point of view of a conservative parent. What Michele Bachmann was implying about “innocent daughters” is very much the point. It isn’t a matter of criminal guilt or innocence, as the bizarre Mark Davis seemed to suggest today, but the matter of a different sort of innocence most conservative parents would like to see preserved in our daughters until adulthood and marriage. What Bachmann was clumsily trying to imply while stating it in gentler terms is that the innocence of these girls was very much on the line. When I heard the announcement of Rick Perry’s intended policy, I went ballistic, and began placing calls to every Texas politician who I could contact. There were many busy phone lines, so I left voice-mails or called back as need be, but the other parents I spoke with were incensed because the implication of Perry’s policy was that our 6th-grade(or older) daughters must be promiscuous, or at least have inattentive parents. After all, HPV is a sexually transmitted disease. For our daughters to be “at risk,” they would first need to be sexually active. The implication of this policy caused many Texas parents to express outrage on this basis alone. Perry ought to have known better, so why didn’t he? Michele Bachmann may have offered the answer in the discussion during Monday’s debate: Crony-capitalism. While Perry scoffed at the notion that he’s for sale for a mere five-thousand dollars, it’s important to recognize that there was much more at stake than the direct contributions from Merck to Perry, and that’s all the small amount addresses. It doesn’t do anything about the insider-trading and all the other potential instances of corruption that grow from one of these crony-capitalist adventures. In talking about Perry’s response, Rush missed this. I wish he’d apply the same investigative standard to Perry that he once applied to another southern governor. In 1992, Rush spared no digging in finding the connections and the back-channels through which the Clinton machine operated its crony-capitalism operation. Rick Perry, and indeed every candidate for President, needs this sort of thorough examination. Rush maintained that all of this is really just a distraction intended to throw the Republican party off-track from discussions of fiscal issues and Obamacare. I thoroughly disagree, because crony capitalism is a problem that affects fiscal issues, and is an entrenched part of the Obamacare debate. For instance, explain Obama’s situation with respect to crony capitalism in the “Green Jobs” scam. Is this not a fiscal problem, with billions of dollars of tax-payer money being diverted to these dubious boondoggles? If this isn’t a fiscal problem, what is it? When dollars are diverted to some program or initiative, these are tax-payer dollars. Yes, it’s a cultural issue, but the simple fact is that fiscal issues encompass virtually everything, so that there is very little distinction between budgetary and moral issues. At the same time, to pretend that the Gardasil issue is a distraction from Obamacare is another canard. Gardasil is one small instance of what Obamacare will ultimately be, though the reach of the latter spans the macroeconomic landscape. Rush has pointed out repeatedly how the pharmaceutical companies have been a part of formulating Obamacare to their advantage, and if that’s wrong(and it clearly is,) then it must also be wrong for Perry to use Gardasil for similar purposes at the state level. Perhaps more importantly, what the Gardasil decision by Perry demonstrates is a reflex to statist answers to problems. Such a tendency always results in fiscal blow-back, as can be witnessed in some of the programs concocted under the last Texas republican to have become President. 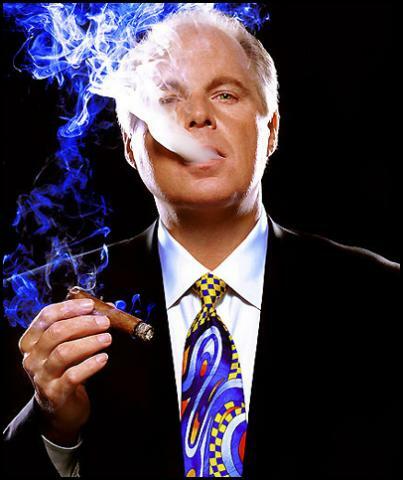 Rush is a great commentator, and I don’t criticize him often because I’ve derived so much enjoyment from his show over the years, but every once in a long while, Limbaugh clearly blows it, and his failure to understand how bad Perry’s Gardasil order really had been is one of those rare occasions. Eventually, Rush will discover his error, and he’ll likely re-think it when he considers other perspectives. I understand. I really do. Rush desperately wants the Republicans to win back the White House and reverse Obamacare, but it won’t be done unless we’re willing to examine our own candidates under the same microscope. You can bet the media will begin doing so from the moment we choose a nominee. Let us do this difficult, sometimes disappointing work ourselves. Republicans deserve the best candidate to be found within their ranks . We won’t find the best by sweeping our own candidates’ flaws under the rug on the dubious pretense of political distractions. Neither should Rush. The last few days with Rush have been laborious. He started the program today saying he doesn't focus on the negative, the problems, only the positives. Then he goes on to say (probably correctly) that Bachmann has jumped the shark. Her extension about the drug causing mental retardation was a bit of a stretch. She tends to get herself in trouble whenever she tries too hard. Surely the Obama team including the media, would love to uncover something on the Republican nominee; I say leave no meat on the bone. Didn't hear Rush today but your article is excellent! I have learned that Rush makes many mistakes due to extreme partisianship . I am a fact checker and you can't fact check Rush without learnng he just throws it out there whether it is factual or not. I still listen but don't take what he says as truth. Check politifact.com as far as his truth o meter. Rush disappointed me big time today. He is all over the place praising these RINOs Romney and Perry. Even whacko Ron Paul. Defeating Obama should not mean praising RINOs and fraud conservatives like Perry. Perry is a corrupt Al Gore supporter and friend of ACORN. These losers would be destroyed by the Obama machine. Sending any of these boring asses against Obama will be suicidal. Rush is too soft. He will support any RINO for the sake of trying to defeat Obama. Obama cannot be defeated by boring moderates. Excellent analysis. You capture exactly how I feel on this issue, and I agree that this matter is at the heart of explaining just WHO Rick Perry is.. never mind Michele Bachmann's apparent innability to deal with it or expose it in a way that makes everyone happy. We as Conservatives need to get real…our only way to get our nation where we want it to be is for us to stop looking for 'pretty poster icons' … and get behind a REAL candidate that represents our values..without accepting the "he/she is not electable' edicts dished out by the powers that be. Very well written article. I think Bachmann made a good point, but like said above, she didn't go about it the best way, That being said: I disagree with Rick Perry mandating this Gardasil shot, even if there was a opt-out. He should not have used executive order and if anything he should have made the shot free in the state of Texas and if parents wanted their daughter to have it, well let them. If not – no harm done. I, personally am not going for Perry, I'm a supporter of Herman Cain, but that's besides the point. There's been numerous videos showing the Gardsil shot side effects that are permenant. (Though I happen to think, it's partially the parents fault for going along with Rick Perry and getting their daughter the shot.) Nevertheless, Rick Perry saying "Sorry" as he did in last nights debate is not going to make anything better. Okay, Off my soapbox.. GREAT article though again!!. Here is some eye popping infomation on Perry, Mark, as a Texan, have you heard some of this before? If he gets the nomination, you can bet the Dems bring this out, and if they do, he'd be McCain take 2!